Nicolas Cage already brought us the definitive cinematic incarnation of Marvel’s Ghost Rider (but only because there haven’t been many other attempts) and he’ll finally get a chance to play Superman in Teen Titans Go! To The Movies, but he recently told JoBlo that he thinks his superhero movie days are mostly behind him. “I’m on to other things,” he explained, but there’s still a chance he’d return to the comic book world if the right role came along—specifically one that lets him play an unhinged maniac. “I always thought I’d make a great Joker,” Cage said, adding that he thought he’d also be a good villain in Marvel movie. He specifically names Doctor Doom, but he doesn’t seem crazy about the idea because “you have to wear that mask.” Going back to the Joker, Cage agrees that it “would be the perfect” role for him because he could “go even more off the rails” than he normally does. 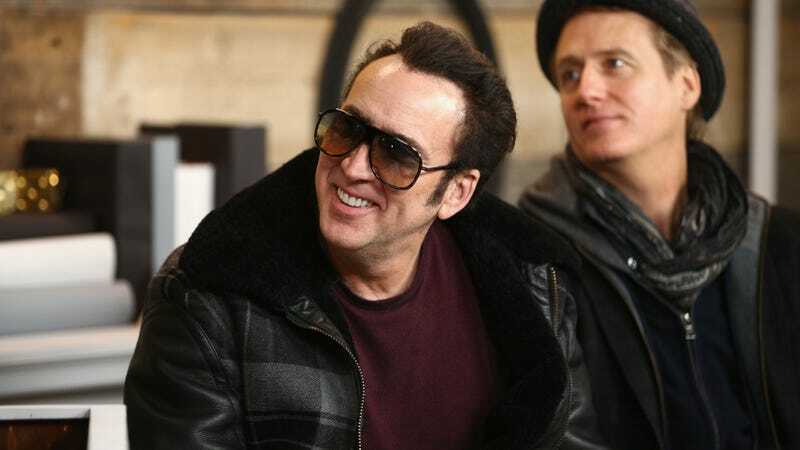 Unfortunately, he’d have to go up against Martin Scorsese’s prequel Joker and Jared Leto’s Suicide Squad Joker, so it seems unlikely that we’ll be getting Nicolas Cage’s Joker any time soon.